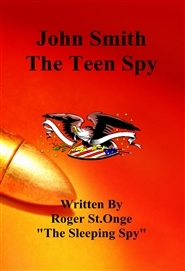 John Smith The Teen Spy Written By Roger St.Onge "The Sleeping Spy"
This book is about a young teen that becomes a spy. John Smith is asleep when he is a spy. There is only one thing John Smith doesn't know about in the spy business. That he must learn. I hope you enjoy reading this book because I enjoyed written it and more books will come in the series. 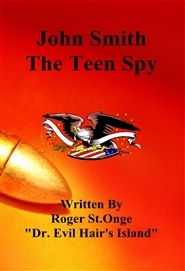 John Smith The Teen Spy Written By Roger St.Onge "Dr. Evil Hair's Island"
This book is about a young teen that becomes a spy. John Smith is asleep when he is a spy. There is only one thing John Smith doesn't know about in the spy business. That he must learn. I hope you enjoy reading this book because I enjoyed written it and more books will come in the series. This book is called DR. EVIL HAIR'S ISLAND the next book in the teen spy series. Hop onboard with John Lee Smith, noted for catching hundreds of bass over 7 to 8 pounds, and discover his personal map, never before seen, showing where he caught his big bass! 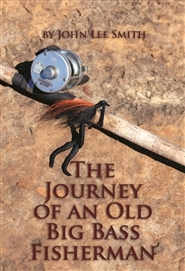 Join this author's journey of a lifetime catching big bass, and learn his fishing tips and techniques! John describes the history of Toledo Bend Reservoir and explains the "Bass Fishing Explosion" that was Ignited by that lake in the early 70's. Submerge yourself in his amazing fishing stories along his journey of recreational and tournament fishing.